Bairavaa is likely to create new opening weekend record in TN. 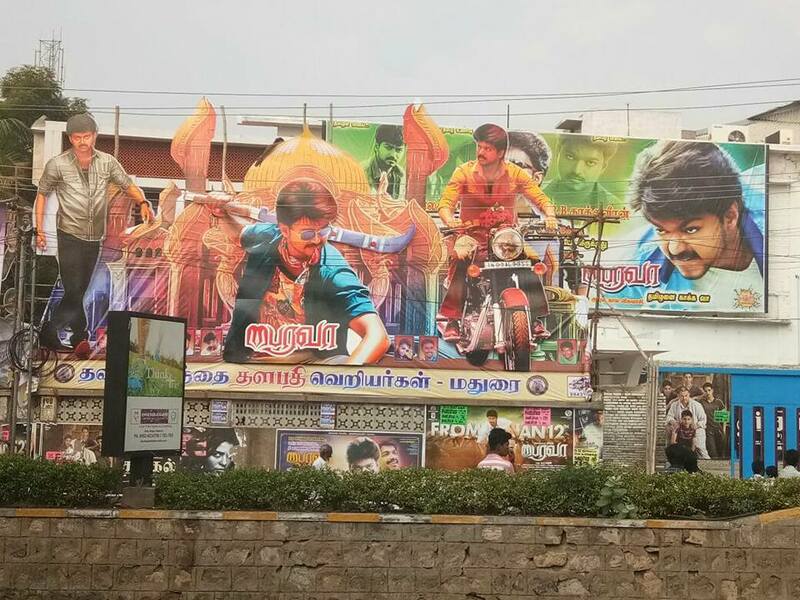 Vijay’s mass masala movie occupies most of the major theaters in Tamil Nadu. Tent Kotta and 8k Radio Tamil will be releasing Bairavaa in US in over 100 screens. Bairavaa KDM is delivered to overseas distributors already. As per the Tamil Nadu distributor Bairavaa will be released in 450 Screens. A report stated Devi Complex in Chennai will be screening Bairavaa in all the screens (Devi, Devi Paradise, Devi Bala, and Devi Kala). Kerala exhibitor’s strike is called off and all huzzle cleared, now Bairavaa is all set to have a massive release. Kerala is Vijay’s fort. It is more like home away from home, thats what the number of fans clubs and box office shows. It is a confirmed ‘estimation’ that Bairavaa will open with an ‘all time high’ tag at Kerala and Tamil Nadu box office. Bairavaa is directed by Bharhathan and produced by Vijaya Productions, starring Vijay, Keerthy Suresh, Aparna Vinod, Sathish, Jagapathi Babu, Daniel Balaji, Mime Gopi, Sreeman and Sija Rose. The music is composed by Santhosh Narayanan, the cinematography is handled by M. Sukumar and the film is edited by Praveen K. L.